Carry forward Greg's commitment to animals. The Gregory J. Reiter Memorial Fund carries forward Greg's commitment to animals. 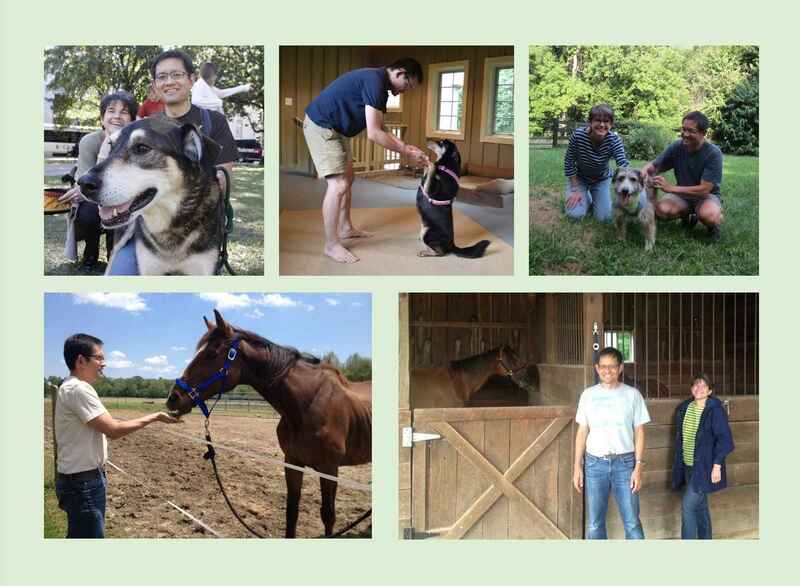 Companion Animal Rescue: Since 2016, the Greg Fund has partnered with PETA to present an annual animal rescue award of $1,000 to an organization or individual doing exceptional work for horses, dogs, cats, and other animals. Learn more. Veganism & Wildlife: Since 2017, the Greg Fund has partnered with Animal Place's Food for Thought program to award $250 grants to wildlife and environmental organizations adopting earth- and animal-friendly menu policies. Learn more. Lab Animal Rescue: In 2018, the Greg Fund has partnered with White Coat Waste Project to rescue monkeys from cruel and wasteful government experiments, and with Poplar Spring Animal Sanctuary to rescue lab hens. Learn more. For other ways to donate, click here or email info@gregoryreiterfund.org. Your donations to the Fund are tax-deductible. It is our shared moment on earth and animal remind us the beauty of life. In the name of Greg and in the name of love and compassion for all animals. Alysoun works tirelessly on behalf animals! Thank you, Alysoun, for all you do to further the move away from animal research. Animals and kids deserve better treatments. Marvelous work done by Greg and Alysoun. Wonderful that Alysoun is keeping it going in honor of Greg. In memory of Greg and in honor of Alysoun and the work of the foundation.